He leaves behind a wealth of books, articles and emails, that will continue to inspire, representing hope and reconciliation through the dark decades, that alas, are still with us. 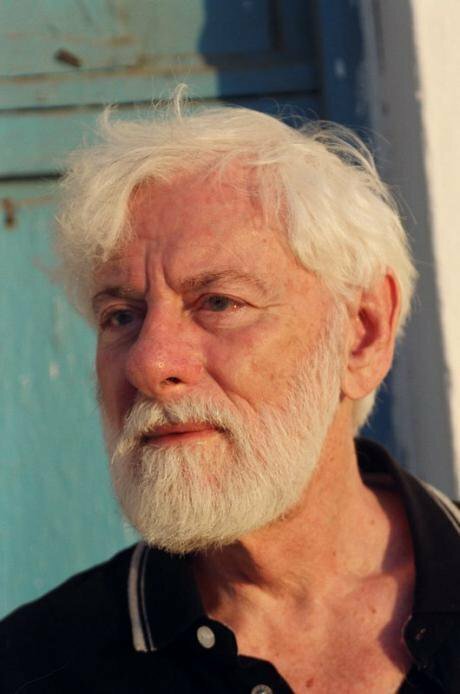 Uri Avnery, June, 2006. Wikicommons/ Uri Avnery. Some rights reserved. Some years ago I was asked to go and collect Uri Avnery from the airport. Although I had been reading his regular email reports from Israel, I wondered how I would recognise him. I needn’t have worried, the moment I saw a magnificent old man, complete with a head of impressive white hair and an equally impressive white beard, striding towards me, I knew I had found my quarry. Uri looked every inch the Old Testament prophet I hadn’t dared to expect. It was an appropriate reaction, Uri was a prophet, looking into the future that he saw for Israel and warning of the wrath to come, if the country he loved, did not change course. After leaving Germany aged fourteen, Uri joined an extremist nationalist group and fought in the War of Independence in 1948. Then, like so many other prophets, he had a Road to Damascus and saw that violence would not solve the problem of the displaced Palestinians. For the rest of his long life, he fought for a peaceful and fair settlement, one made by consulting with the Palestinians themselves. Until around 1970, this seemed possible and Uri put the case both through the journals he edited and wrote for and by becoming a member of the Knesset. 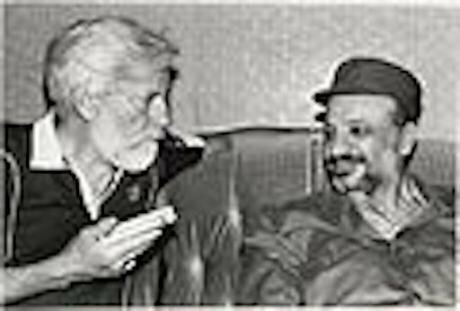 Uri Avneri interviews Yasser Arafat for the Gush Shalom peace movement in 1982. Wikicommons/Uri Avnery. Some rights reserved. It was always difficult to be a non-conformist voice in Israel but until the assassination of Rabin, not hopeless. As Israel drifted to the right, Uri never wavered from his purpose, no matter how unpopular he became. Meeting up with Arafat was seen as almost treasonous but Uri recognised that it was both wise and necessary to talk to “the enemy”. All this made him few friends at home, though many admirers abroad. If “no man is a prophet in his own country”, that was true of Uri. However he leaves behind a wealth of books, articles and emails, that will continue to inspire the peace efforts in the Middle East and he represented hope and reconciliation through the dark decades, that alas, are still with us. Like him we must hope and work towards better times, however unlikely any breakthrough seems. “For me this is not a judicial question. It is a crime, not only against the unarmed protesters. It is also a crime against the State of Israel and against the Israeli army." Like all true prophets he went tragically unheard at home. Avnery never spared his opponents at home and abroad. On those he despised he poured undiluted scorn and opprobrium, most recently on Trump and the right wing leaders of Poland and Hungary and Netanyahu’s grovelling to them, in spite of their overt anti-semitism. Never afraid to tell truth to power, Israel has lost one of its most clear-sighted and indomitable warriors for peace.